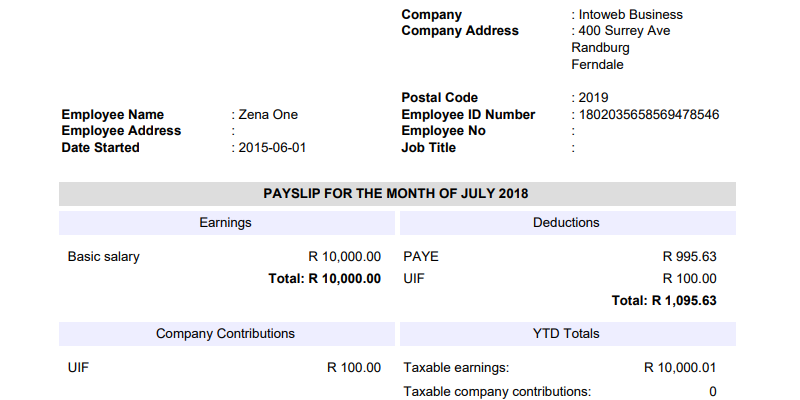 Payroll system and payroll software by Intoweb provides employee salaries: PAYE, UIF, SDL and internal deductions. 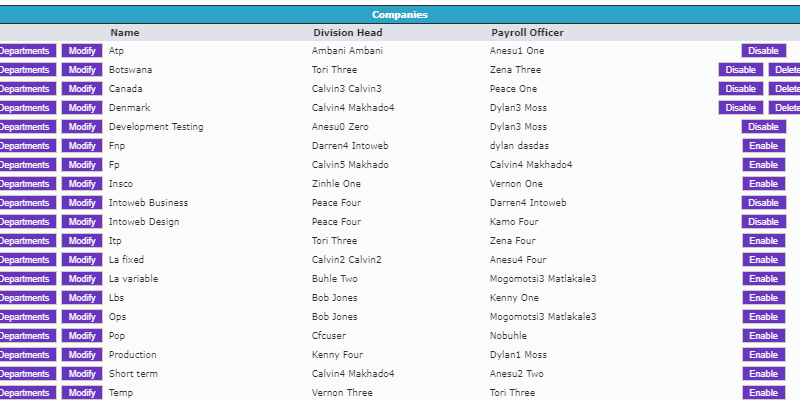 The system integrates with ABSA, Nedbank, Standard Bank, and FNB. 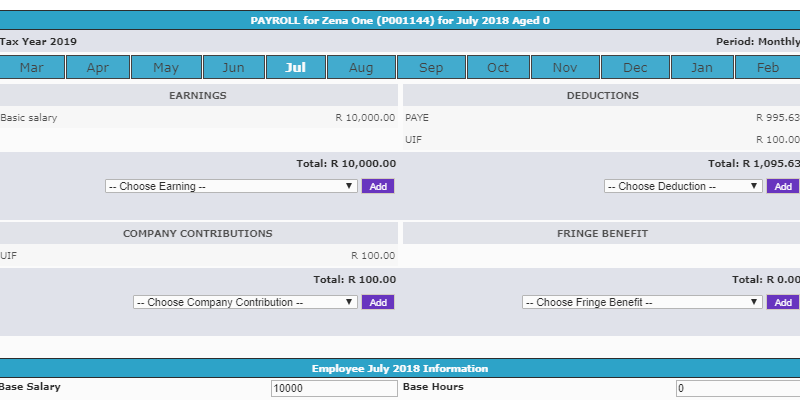 The payroll software can be fully integrated into other modules of the Intranet. 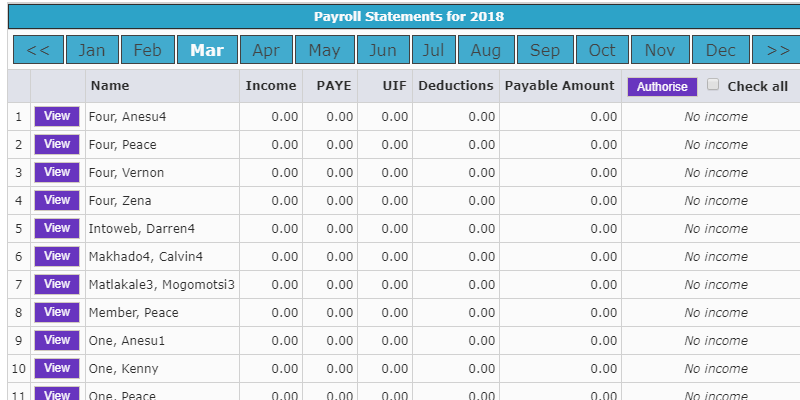 The online Payroll software provides more than just the option to print a pay slip, it keeps record of the all your employee records and calculations that you make to work out your employee's salary and deductions under the Pay as You Earn (PAYE) system. These important advantages of using electronic payment software instead of manual methods should be the front of mind when looking into your Hr departments overall function. Keeps records needed regarding payroll for active and inactive employees. 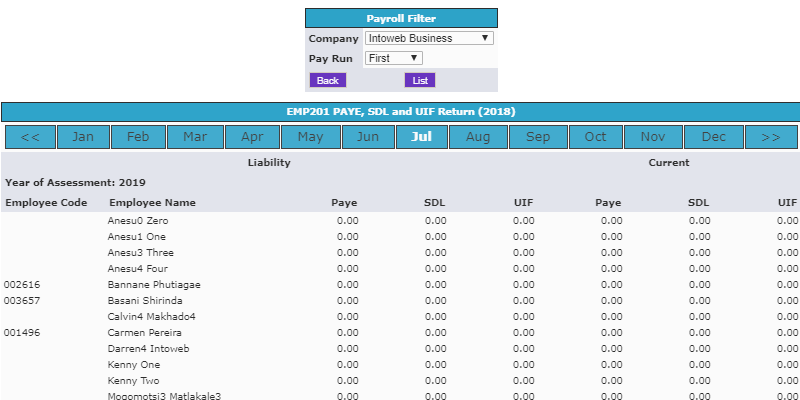 Yearly PAYE and tax amounts are entered into the system keeping the Payroll data up to date.